Today I will be giving a talk for heart month to the staff of the US Supreme Court. The topic of my talk will be "Women and Heart Disease." Traditionally, heart disease has been considered a male problem. This has resulted in under awareness, under testing, under detection, and under treatment of heart disease in women. Fortunately, this pattern is changing in recent years, most significantly with an increase in awareness that heart disease is a real problem for women as well as men. I'd like to use this blog post to highlight some of the main points that I will be making in the talk that are important for all women (and men with women they love in their lives!) to know. Contrary to prior misconceptions, heart disease is the #1 killer of American women. More women than men die from cardiovascular disease every year. Heart disease kills more women than all forms of cancer combined. Women have equal or greater rates of angina (symptoms of lack of blood flow to the heart) compared to men. Women who have a heart attack are more likely to die than men with heart attacks. Happy New Year! We Are Now Scheduling Appointments! Happy New Year everyone! Things have been progressing on schedule with the new practice. 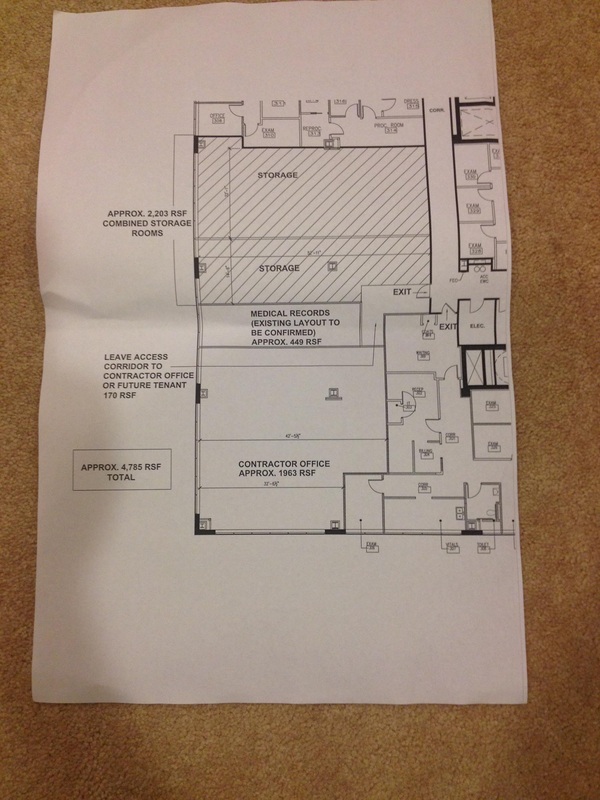 Construction on the new office begins this week. Staff, including medical assistants and receptionists, are in the process of being recruited and hired. Equipment is being purchased. Our IT and electronic medical record system will soon be in place. And... I am extremely excited to report that appointments are now being scheduled for February. From opening day, I will be practicing both cardiology and bariatric medicine. For those of you who have previously posted or contacted me through the website with questions, the office will be able to answer any questions. Additionally, we have a new practice website at www.vhcphysiciangroup.com/cardiology. Thank you to everyone who has been following this blog. It really means a lot that so many are interested and enthusiastic about this exciting step in my professional life. I take great pleasure and am continually gratified by the opportunity to make a positive difference in the lives of my patients. In return, I am thankful and honored by the trust and respect that is bestowed on me. 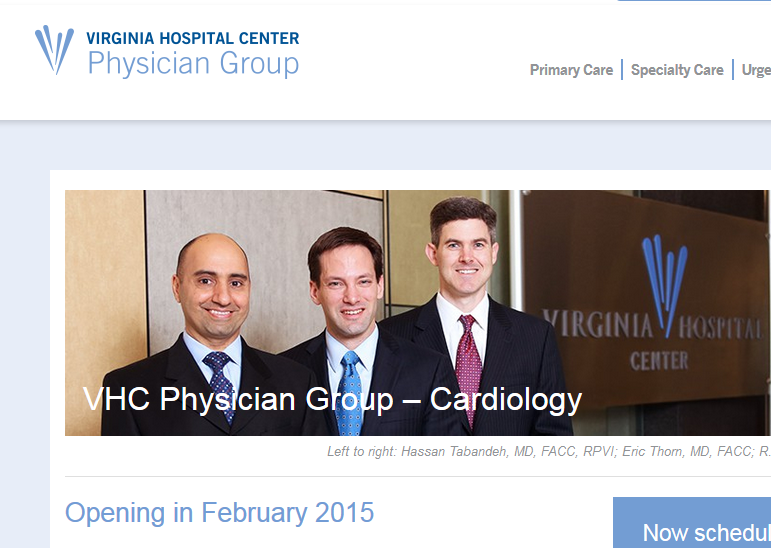 On February 16th, I will be joining the Virginia Hospital Center Physician Group in Arlington, Virginia. I will be part of a group of three cardiologists. Dr. R. Preston Perrin will join me. 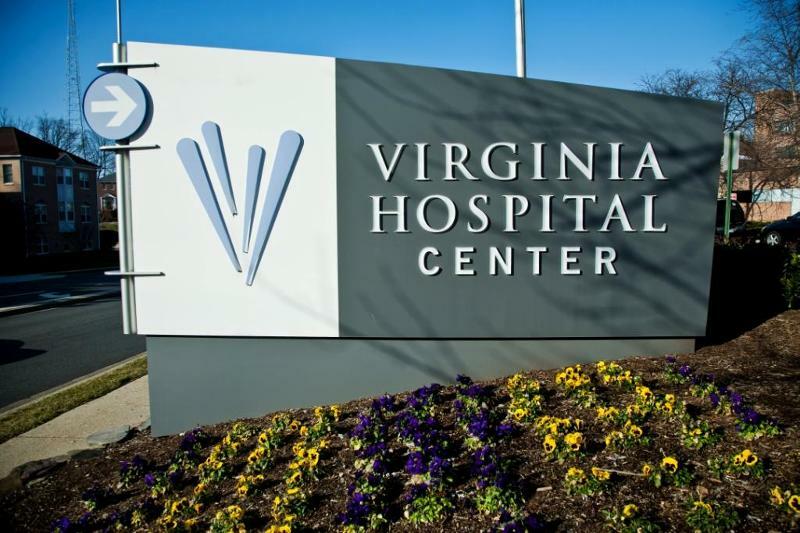 The VHC Physician Group is a large, multi-specialty group of physicians employed by Virginia Hospital Center. The group includes primary care, hospitalists, and both medical and surgical specialists. We will be the group's first cardiologists. Work In Progress, Big News Soon! I realize that many of you are waiting to hear where I will be in 3 months. I expect to make an announcement next week that will relieve the suspense. I appreciate everyone's understanding and patience during this transition. 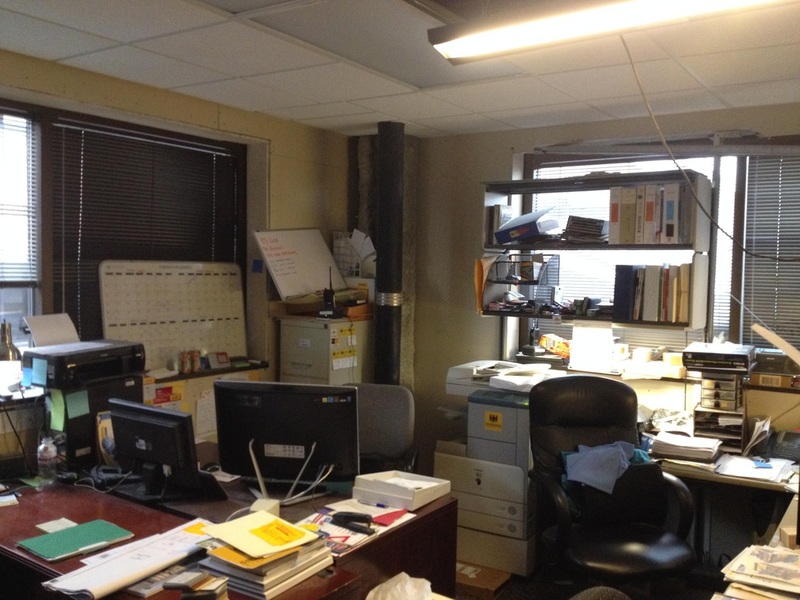 In the meantime, I thought I would give you a little preview of the new office - pre-build out. As you can see, we have a ways to go! 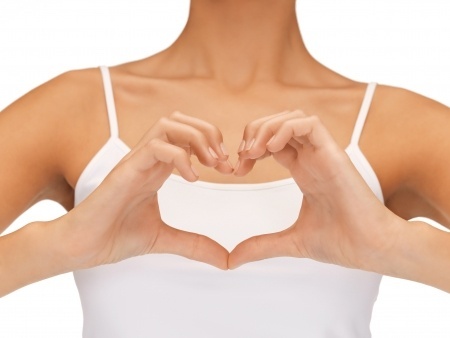 Is Phentermine Safe in Cardiac Patients? “Since I see this is a topic which is of concern to many bariatricians, I''d like to share a little research I've done on the subject. I would appreciate your perspective and experience in the comments. Peer reviewed literature shows very rare cardiovascular events attributed to Phentermine. Almost no clear case of myocardial infarction, even in patients with known coronary artery disease. . I suggest to read the very informative reply of R. Rothman and E. Hendricks (1) to a case report describing a 48-year-old woman with no significant medical history who developed a myocardial infarction and subsequent ventricular tachycardia/fibrillation (2). The authors attributed the event to Phentermine, which they describe as a popular amphetamine- like “over-the-counter” diet pill, (just to illustrate how much misinformation is out there among physicians). There are also no reported cases of serious cardiac arrhythmias, or cardiomyopathies associated with phentermine. Marylou VanHintum and I were recently interviewed by Jimmy Moore on his very popular Livin' La Vida Low Carb podcast. You can stream the interview directly from his site. Alternatively, you can download the podcast from iTunes. For those of you who don't know him, Jimmy is one of the pre-eminent bloggers, podcasters, and all around popularizers of real food, low carbohydrate nutrition. It is, in part, through listening to his podcast, that I learned about how powerful nutrition can be in improving health and reducing risk factors for cardiovascular disease. He has interviewed all of the luminaries of the low-carb, paleo sphere, including, Eric Westman, Mary Vernon, Steve Phinney, Mark Sisson, Andreas Eenfeldt, and many others. I want to thank Jimmy for giving us the opportunity to be on his show and to help spread our philosophy of nutritional and lifestyle based medicine. I also want to thank Marylou for being on the show with me. Marylou has been my bariatric nurse and all around right hand for the past few years. Subsequently, we are going forward individually to continue treating patients to improve their health and wellbeing. You can find Marylou on her Facebook page. Please "like" her! Here is a short article on nutrition for preventing heart disease that I wrote for the Northern Virginia Magazine a couple of years ago. On a re-read, I can&apos;t find much to argue with! After five years in private practice cardiology with Virginia Cardiovascular Associates (now known as Carient Heart & Vascular,) I have now moved on. I am currently engaged in starting a new practice with a small group of likeminded cardiologists. I am very enthusiastic about this opportunity to practice in a new environment, continuing to provide excellent, patient-centered care. My focus will remain centered around cardiovascular prevention, life-style interventions, and obesity medicine. Between myself and my new partners, we will offer a full range of non-invasive and invasive cardiovascular services. As soon as I am able, I will provide more details regarding the new practice, including timing and location. Please check back at this site for updates. Additionally, I plan to begin blogging at this site. Cardiologist and Obesity Medicine Specialist. Real food, fitness, and relationships are the centerpieces of cardiovascular health. This philosophy guides me everyday.